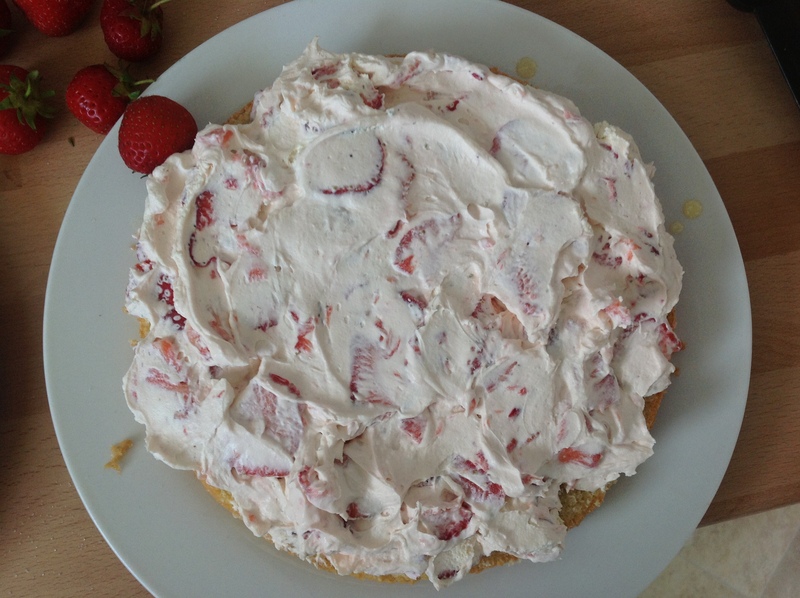 But I pulled it off, and it has been my go to cake recipe ever since. What I love about this cake is how light it is. I’ve always had an issue with Victoria sponge as I find it kind of oily and sometimes a bit dense (ok, maybe I just never got a great one). Not this sponge! You can even leave out the measly 50g of butter and it still works fine apparently. You can flavour it with pretty much anything, Annie suggests a table spoon of dark rum as an alternative! Anyway, lets get on with the actual recipe. 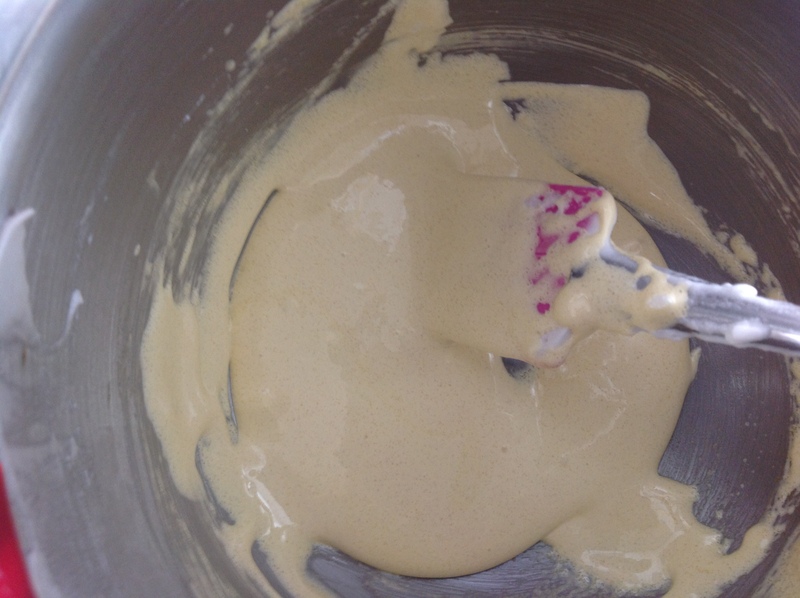 In another bowl, whisk the remaining sugar and egg yolks at high speed until they are really light and almost mousse like. See how its grown in size? This cake is all about getting as much air as possible in it. It’s times like these that I’m very grateful for my stand alone whisk! 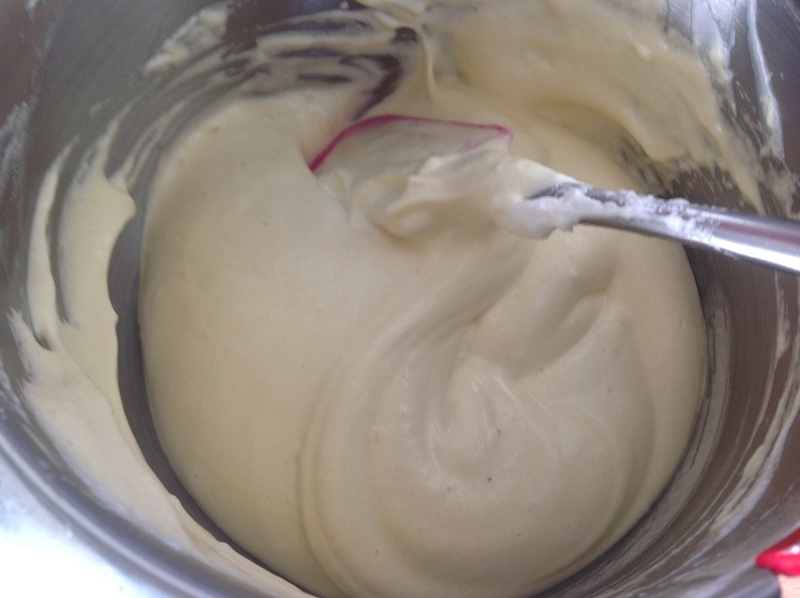 At this point add the vanilla (or other flavouring like lemon zest). A silicone spatula is good for this bit, but you could use a wooden spoon instead:Gently fold the egg yolk mixture into the egg white mixture in two goes. Then fold in the sifted flour in two goes. And finally the melted butter. This may seem very strange, but it works! Just be careful not to beat the mixture down, yet make sure its all combined. Pour the mixture into the tin and tap it sharply on the work surface to release any big air bubbles. 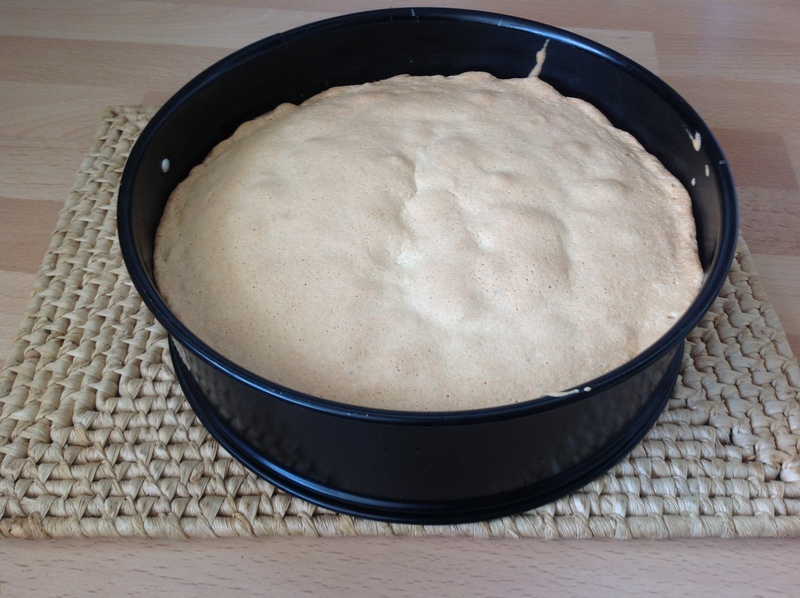 As soon as the cake is out of the oven, without running a knife around the edge, gently invert the cake and tin onto a worksurface and leave to cool. This seems even more crazy than the addition of melted butter and it took me a few deep breaths the first time. Still does sometimes. Only one has fallen and it was still great. The reason for turning it upsidedown is so that it doesn’t sink when cooling. Make the syrup by combing the golden syrup and rosewater in a bowl. 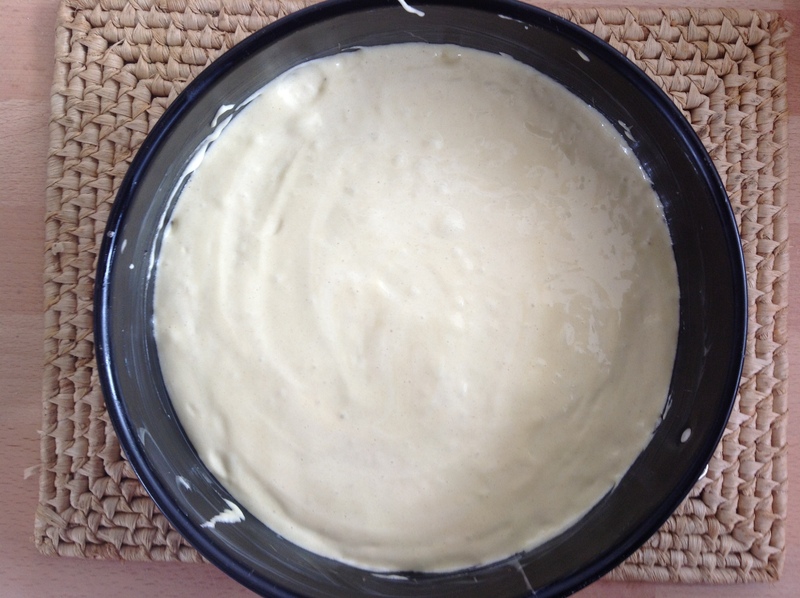 Genoise is renowned for not being a sweet sponge, the syrup is what sweetens it. 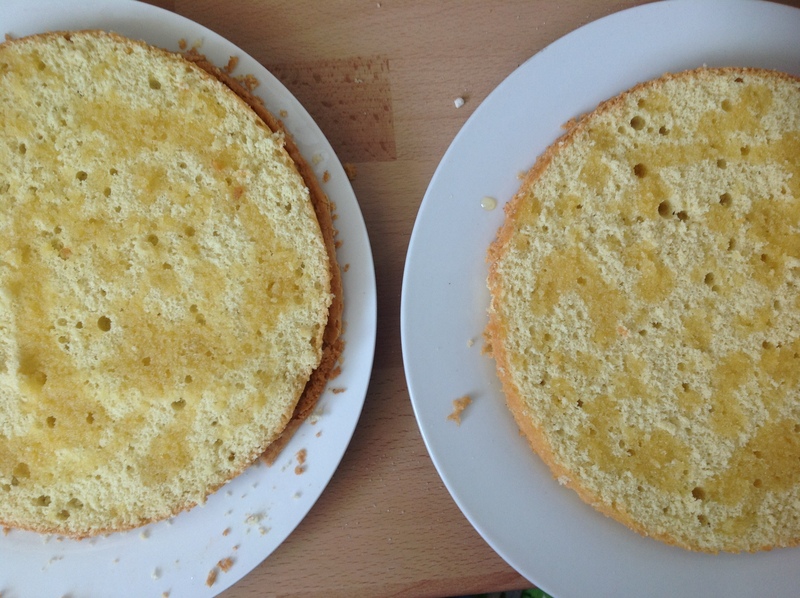 When the cake is cool, run a knife around the edge, get it out of the tin and split it in half with a bread knife. 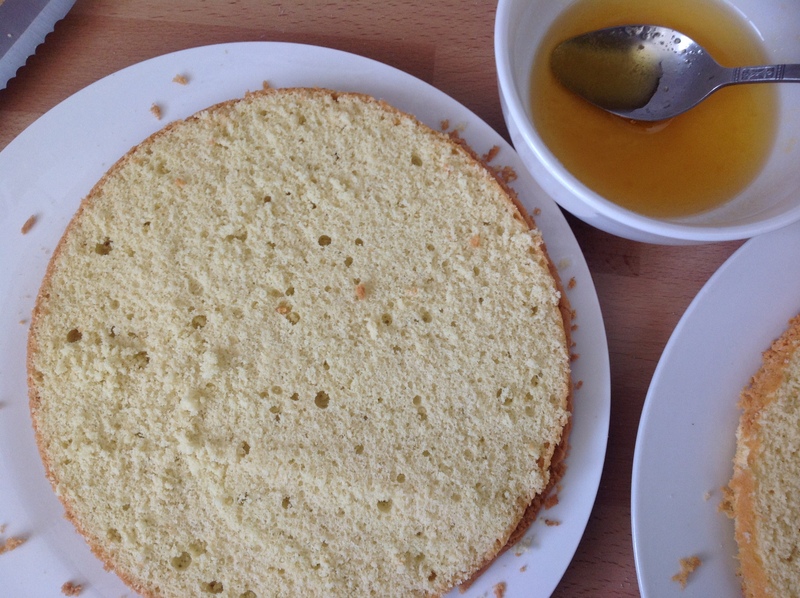 Cut side up, dribble or brush the syrup over the sponge. 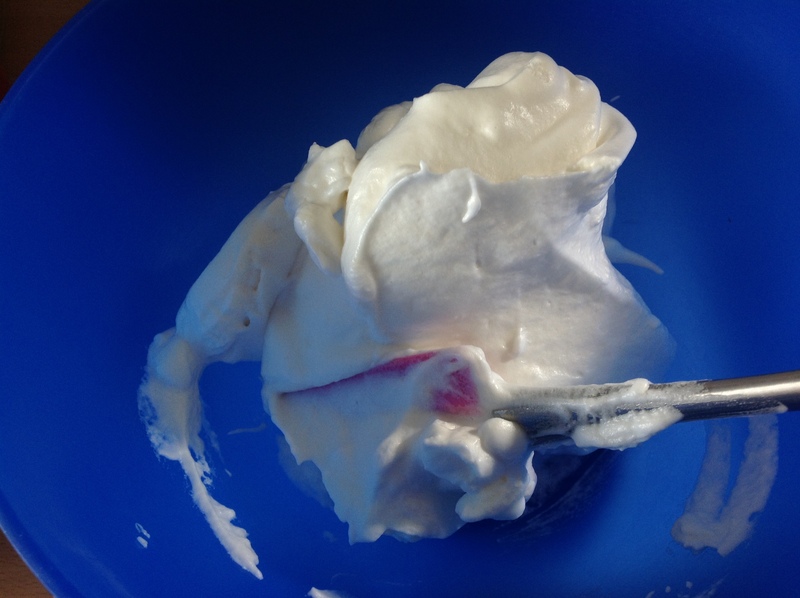 For the filling whip the cream, I left out the icing sugar, until it forms soft peaks. Add all the fruit, you can crush the raspberries slightly so the make the cream streaky and pile it on the bottom sponge, smooth it and put on the top sponge. And decorate! 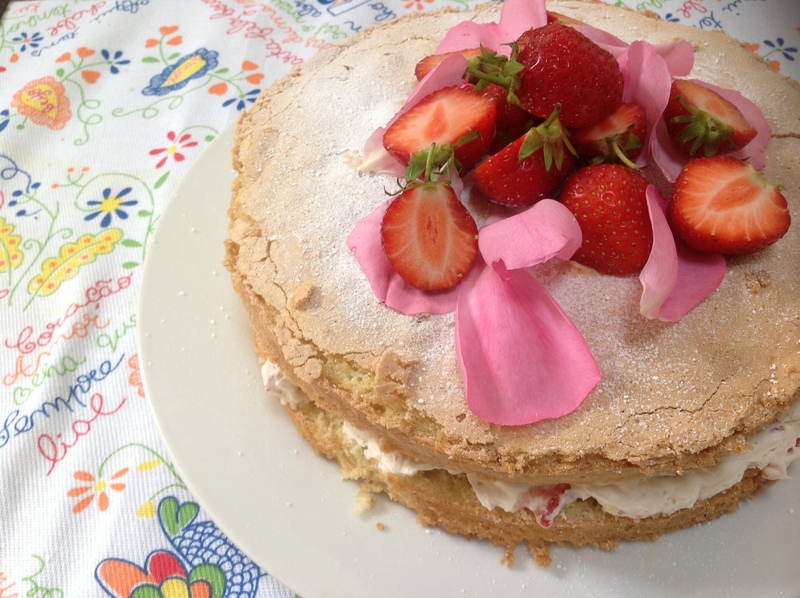 I dusted with icing sugar and dropped rose petals and strawberries on the top. Unfortunately, I don’t have a photo of a slice. I made this cake for a friends birthday and I can say that after a few hours in a box, under a towel, on a beach it still tasted DELICIOUS! So much so that there was no time for photos. I would love to hear what you have done with this recipe. 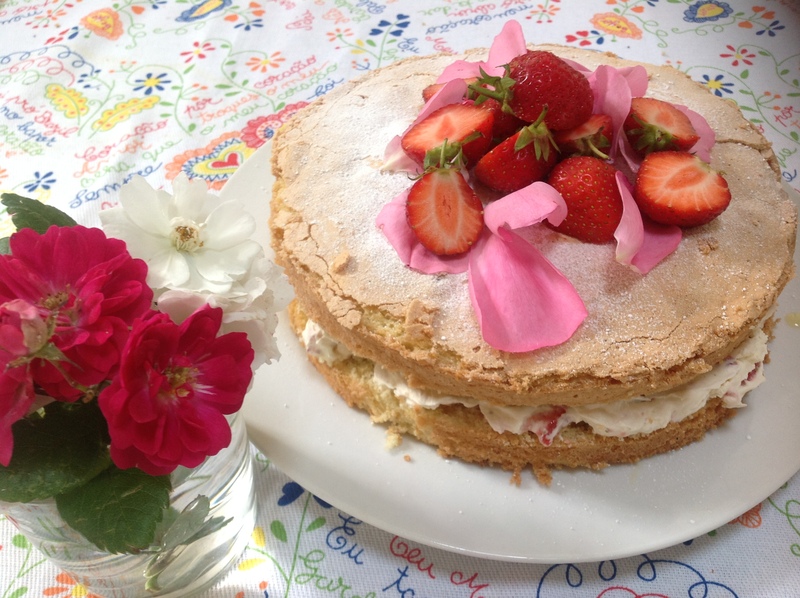 How did your first genoise sponge go? What flavour combinations have you tried?